Ce document au format PDF 1.7 a été généré par Elsevier / Acrobat Distiller 10.0.0 (Windows), et a été envoyé sur fichier-pdf.fr le 08/10/2014 à 21:41, depuis l'adresse IP 197.28.x.x. La présente page de téléchargement du fichier a été vue 684 fois. Taille du document: 213 Ko (12 pages). determinants concerning biological assets and to develop future recommendations. Keywords: biological assets; disclosure index; mandatory disclosure; financial reporting; regulation. 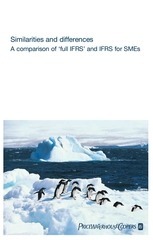 Standards (IFRS) or equivalent standards until 2010. * Corresponding author. Tel. : +351-225-571-100; fax: +351-225-505-050. 1877-0428 © 2014 The Authors. Published by Elsevier Ltd. Selection and peer-review under responsibility of the Contemporary Issues in Business, Management and Education conference. under a disclosure regulatory regime to disclose insofar as they are applicable to them” (Owusu-Ansah, 1998:608). valuation implications of mandatory disclosure (Tsalavoutas &amp; Dionysiou, 2011; Leuz &amp; Wysocki, 2008). • What is the level of compliance by listed firms with the IFRS disclosure requirements on biological assets? ﬁndings from the empirical analysis. Finally, the paper closes with a brief conclusion. Marsh, 2013; Fisher, Mortensen, &amp; Webber, 2010; Herbohn &amp; Herbohn, 2006). 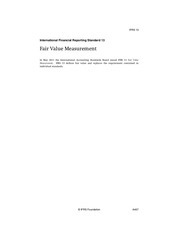 to IFRSs (issued in May 2008) and IFRS 13 Fair Value Measurement (issued in May 2011). measure these assets, once mature, under the cost model in accordance with IAS 16 Property, Plant and Equipment. the first quarter of 2014 and to have an effective date in 2015.
fair value under IAS 41. Prior literature presents several studies that evaluate the impact of IAS 41 implementation in different countries. (2012) are the following examples. auditors and managers collide in disagreement. notes of the financial statements, underlining some of the principal constraints, comparisons and dissimilarities. concentration, size, auditor type and international stakeholders. a community of researchers”, usually these explanations have implicitly a subjective decision. explanations. This study adopts the second way, electing firm-level segment which is explained as follows. consequence of application of the materiality principle” (Chavent, Ding, Fu, Stolowy, &amp; Wang, 2006:188). The above considerations indicate an expected positive sign for the relation. financial reporting (Oliveira, Rodrigues, &amp; Craig, 2006). managers and external users and to enhance disclosure transparency (Ding, Hope, Jeanjean, &amp; Stolowy, 2007). compliance as well (Daske, Hail, Leuz, &amp; Verdi, 2013). The above considerations indicate an expected negative sign for the relation. (Amiraslani, Iatridis, &amp; Pope, 2013). Auditing is an effective function of restraining managers’ opportunistic reporting conduct (Tsalavoutas, 2011). Consequently, and regarding agency theory, independent auditors reduce agency costs (Jensen &amp; Meckling, 1976). (Oliveira, Rodrigues, &amp; Craig, 2006; Chalmers &amp; Godfrey, 2004). stronger audit firms (Hope, 2003). The larger is the audit firm, the higher is its perceived quality (DeAngelo, 1981). (Glaum, Schmidt, Street, &amp; Vogel, 2012; Cascino &amp; Gassen, 2011; Hodgdon, Tondkar, Adhikari, &amp; Harless, 2009). provide larger disclosure, bearing in mind higher complexity of the firm activities (Cooke, 1989). disclosure (Oliveira, Rodrigues, &amp; Craig, 2006; Depoers, 2000). signals are described in the following table. The data was collected in Data Stream. identifies which firms have a relatively material proportion of biological assets. in the database, which is the difference between issued shares and treasury shares). auditors are PWC, Deloitte Touche Tohmatsu, Ernst and Young and KPMG. Finally, international stakeholders correspond to a ratio between foreign sales and total sales. mitigate the effect of missing information in this study. annual report is still considered the major medium disclosing information” Akhtaruddin (2005, 407). 2007; Owusu-Ansah, 1998), the disclosure index is dichotomous, unweighted and adjusted for non-applicable items. dichotomous. The maximum number of items is 40. Second, each item is equally important for all three categories. no information in notes about one disclosure item of IAS 41.
applicable items a firm may disclose. information, these are the independent variables with more missing values (n = 134 and n = 156, respectively). Finally, the majority of the sample of firms (76,4%) is audited by a Big 4 auditing firm (AUD). presented by group of biological assets” (n = 3; parag.51). biological assets disclosure, as concluded by PWC (2011) for the timber sector. biological assets intensity, ownership concentration and size (Table 4). 2009) and provisions (Chavent, Ding, Fu, Stolowy, &amp; Wang, 2006). on voluntary disclosure in the French context. Oliveira, Rodrigues, &amp; Craig, 2006; Depoers, 2000). of significance. Since there are no are highly correlated variables, all variables are maintained in the model. concentration has significant positive impact on mandatory disclosure practices. importance of individual-level variables is not by itself evidence against the importance of culture or vice versa. determinants, such as legal origin. agricultural firms, this paper states the need to comply with the disclosures required by IAS 41. Akhtaruddin, M. (2005). Corporate mandatory disclosure practices in Bangladesh. The International Journal of Accounting, 40(4), 399–422. Argilés, J., &amp; Slof, J. (2001). New opportunities for farm accounting. 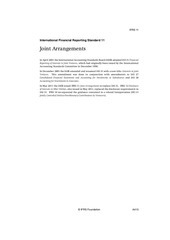 European Accounting Review, 10(2), 361–383. Daske, H., Hail, L., Leuz, C., &amp; Verdi, R. (2013). Adopting a Label: Heterogeneity in the Economic Consequences Around IAS/IFRS Adoptions. Fama, E., &amp; Jensen, M. (1983). Separation of Ownership and Control. Journal of Law and Economics, 26, p.1–31. Fisher, M., &amp; Marsh, T. (2013). Biological Assets: Financial Recognition and Reporting Using US and International Accounting Guidance. Journal of Accounting and Finance, 13(2), 57–74. Fisher, R., Mortensen, T., &amp; Webber, D. (2010). Fair value accounting in the agricultural sector: an analysis of financial statement preparers. George, M. (2007). Why fair value needs felling. Accountancy, 139(1365), 80–81. company- and country-level determinants. Accounting and Business Research, iFirst, 1–42. Herbohn, K, &amp; Herbohn, J. (2006). International Accounting Standard (IAS) 41: What Are the Implications for Reporting Forest Assets? Smallscale Forest Economics. Management and Policy, 5 (2), 175–189. New evidence on the importance of the statutory audit. The International Journal of Accounting, 44(1), 33–55. Lefter, V., &amp; Roman, A. (2007). IAS 41: fair value accounting, Theoretical and Applied Economics 5 (510), 15–22. Shalev, R. (2009). 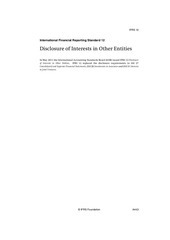 The Information Content of Business Combination Disclosure Level. Accounting Review, 84(1), 239–270. Ce fichier a été mis en ligne par un utilisateur du site. Identifiant unique du document: 00270169.